One of the things I always look forward to is a hot bath with a book. It's something I treat myself to often to warm up, relax and get in some required reading. 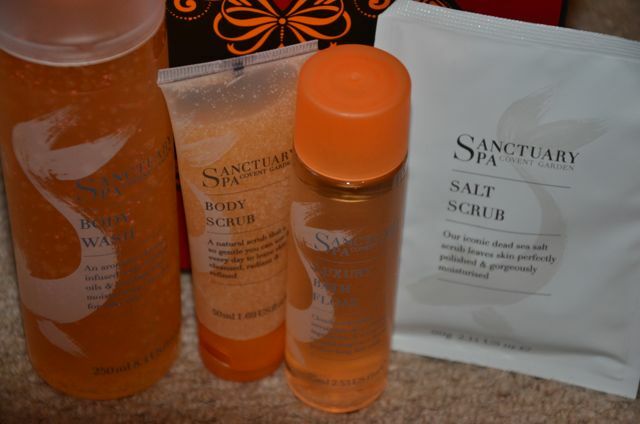 Lately I've been trying out the Spa Favourites Gift Box sent to me by the lovely folks at Sanctuary. 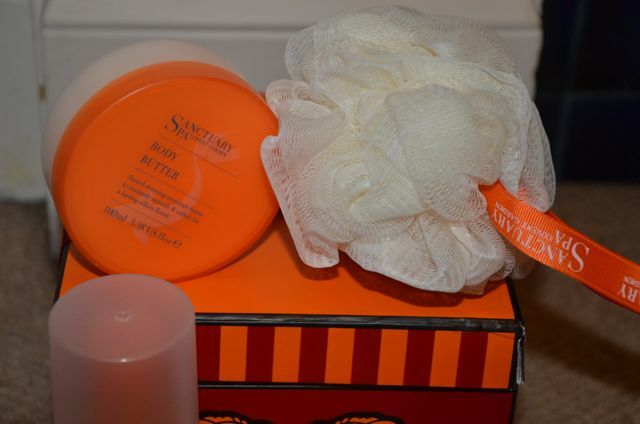 The Spa Favourites Gift Box includes the Luxury Bath Float, Body Butter, Body Scrub, Body Wash, Salt Scrub and a loofa. I've tried each product and they are lush! These products not only smell divine, but they leave my skin feeling baby soft, something I find essential during the harsh winter months. At only £16, this gift set is a major bargain and it's a great idea for a last minute Christmas present for anyone on your gift list that enjoys a little pampering! What a gorgeous packages of items! Looks really perfect for a gift, and you are right, is a total bargain. What is the scent like? It's sort of spicy/musky/cedary, but very light. It's hard to describe, but it's a lovely scent! This is really interesting, You are a very skilled blogger. 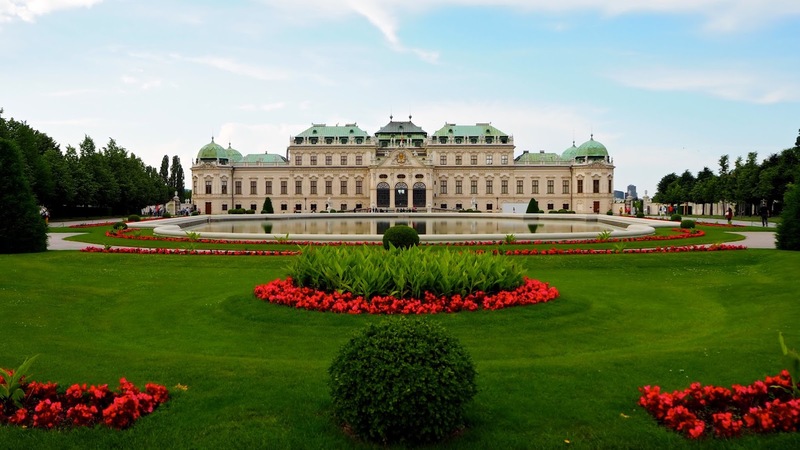 I've joined your rss feed and look forward to seeking more of your fantastic post.